Azur Air airline received eighth wide-body Boeing 767-300 aircraft at the end of December what made this charter carrier the largest operator of this type in Russia. The new aircraft has single-class layout and is capable to carry up to 336 passengers. According to the airline, new seats were installed during the maintenance prior to the delivery. The new Boeing 767-300 will help the Russian airline to develop its route network. This season the operator is performing long-haul charter flights to Cuba, Dominican Republic, Thailand, Goa, Sri Lanka, Vietnam as well as regular flights to Hainan island (China). This Boeing 767-300 is not the first one received by Azur Air this year. The airline received two more aircraft of the type in August and October. Moreover in December the carrier received its first single-aisle Boeing 737-800 aircraft. Beside eight Boeing 767-300 and one Boeing 737-800, the airline’s fleet now consists of seven Boeing 757-200 single-aisle aircraft. Two airframes of the latter type were dropped from the fleet this year and will soon be replaced by more modern and efficient aircraft. Moreover further Boeing 737NG deliveries are expected in 2017. However the number of aircraft to be leased is not specified. Azur Air is Russia’s eighth carrier by passenger traffic in 2016. In January-November it served 2.173 million passengers (-2.3%). 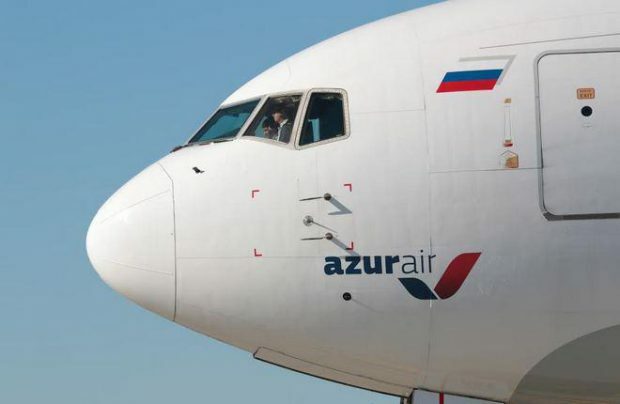 Azur Air performs flights from 30 cities in Russia on 29 international tourist routes.